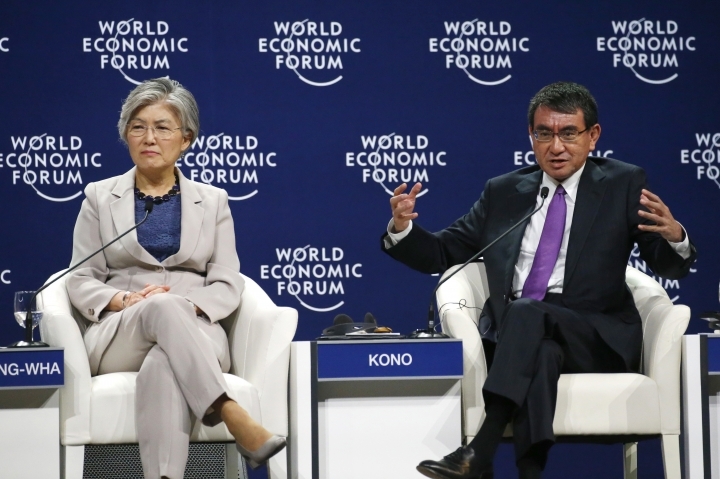 HANOI, Vietnam — Japan is gearing up to accept more foreign workers as its own population is on the brink of a steep decline, Foreign Minister Taro Kono said Friday. 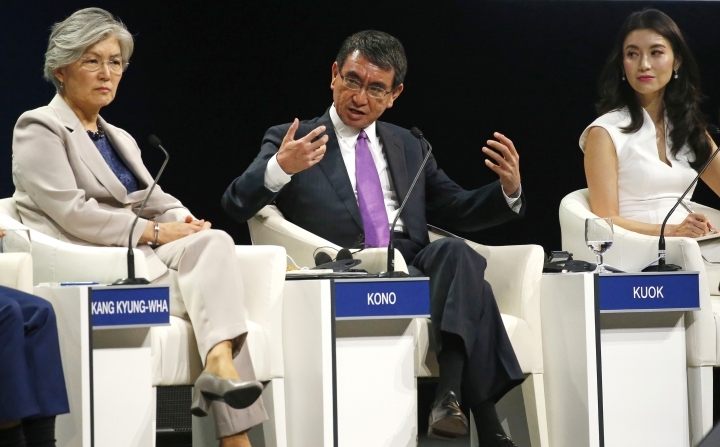 Kono told a World Economic Forum meeting in Hanoi that Japan gains "value added" by accepting foreigners, especially since its aging population and low birth rate mean the country is shrinking by a half-million people a year. "We cannot sustain our society like that," he said in response to a question during a panel discussion. "We are opening up our country. We are opening up our labor market to foreign countries. We are now trying to come up with a new work permit policy so I think everyone shall be welcome in Japan if they are willing to assimilate into Japanese society." Japan has traditionally resisted accepting migrant workers, at times easing such restrictions but then re-imposing them during economic downturns. Many Japanese are uncomfortable with outsiders who might not speak their language or conform to expectations for how to behave. Still, there are millions of foreigners living in Japan, including those who work in technical training-related programs or labor-short industries such as restaurants, construction and elder care. The country has gradually been loosening restrictions to enable families to hire domestic help. It also has short programs to bring in foreign nurses from Indonesia and other countries. But language requirements have made long-term employment in such jobs difficult. Kono cited sports stars including tennis sensation Naomi Osaka, the daughter of a Japanese mother and a Haitian father, as an example of the benefits of welcoming outsiders. Osaka, who was born in Japan but raised in the United States, is being lauded by Japanese as the first from the country to win a Grand Slam singles tennis title. "It's good to have diversity. It's good to have an open policy," Kono said.